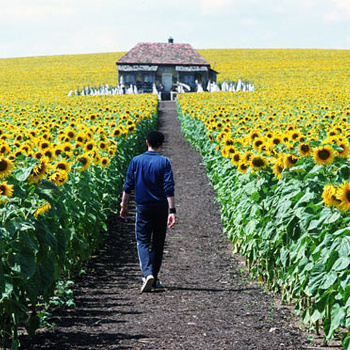 My introduction to this mystical place was in the film Everything Is Illuminated (based on the book of the same name by Jonathan Safran Foer). While Foer’s story is a novel, it does base its setting of “Trochimbrad” on the real life Trochenbrod. But why this place? Of all the lives ended, towns burned, hopes crushed, and families decimated by World War II, why has this one become a focus for so many? But this book is not simply a quest for personal genealogy. In fact it focuses very little on his own hereditary connection to the place. It is much more about uncovering and reanimating a vivid, lively town that has completely disappeared. Indeed, that seems to be the main crux. While horrors of WWI, a Bolshevik revolution, and a deep depression consumed the Western world, Trochenbrod remained relatively untouched. This is not to say it was immune from hardship, but compared to the difficulties endured by Jews in ghettos in urban settings, life in Trochenbrod was heavenly. 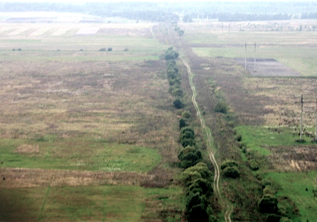 Set deep in the Ukrainian forest, miles from the nearest road (really a track) and rail station, it was a world apart. Jewish traditions flourished here, and so did its residents. By the 1930s, the list of businesses included: Bakeries, barber shops, butchers, candy store, fabric shops, grain mills, furniture makers, horse traders, ice, inn, lumber mills, oil presses, pharmacies, produce, restaurant, and tailors — to name just a few from the list in the book. Today, nothing is left of Trochenbrod. 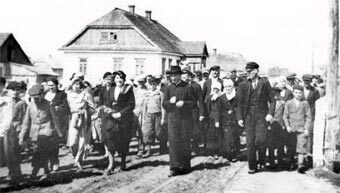 Its residents suffered horrific persecution and murder from the inhuman Nazi regime. Of the approximately 6000 people who lived in the area, about 60 managed to escape by living in the Radziwell forest or by slipping through to other countries. What is amazing is that those who survived, have only love and happiness to express when they remember Trochenbrod. 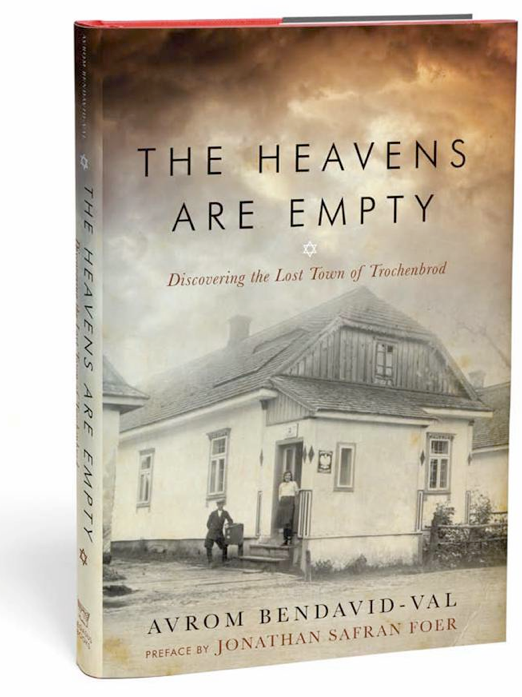 Bendavid-Val’s extensive interviews with survivors and other descendants recall many things about those times, but their descriptions of life in Trochenbrod are full of warmth. Life was plentiful. Which is why it was all the more painful when it was torn from them and burnt to the ground. This book is a fascinating read for anyone interested in history or family stories. While there are very upsetting passages, most of the book uplifting. It manages to to be neither too didactic nor too depressing. The author’s collection of first-person narratives is so important and brings this lost town to life. As Foer notes in the preface that this book is “the definitive history of this definitive place. If this book feels more fantastical than my novel, or any novel you have ever read, it is because of Trochenbrod’s ingenuity, the Holocaust’s ferocity, and Bendavid-Val’s heroic research and pitch-perfect storytelling.” Read this book to understand the strength of human tenacity and the power of memories. Learn more at Bet-Tal’s website and the author’s site.